The dark ages of PC gaming are over, it seems. The long era of platforms divided, of games locked forever to crumbling hardware seems to be fading into obscurity, with only a handful of exclusives left to any given system now. The latest game to make the leap to modern multi-platform status is Star Ocean: The Last Hope. Originally released in 2009, now re-releasing in remastered format next month, November 28th, for both PS4 and PC via Steam. 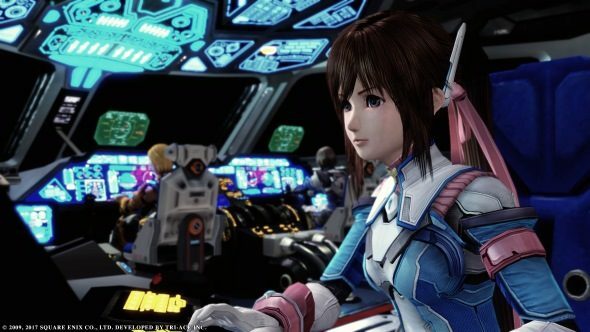 Star Ocean: The Last Hope is facing some stern competition on PC. We’ve got RPG for days. If you’ve never heard of the franchise before, they’re pretty standard JRPG adventures with a science-meets-fantasy setting. Usually seeing a cast of space-faring characters getting wrapped up in the lives of a less technologically advanced set of protagonists in classic Star Trek-ish format. Developed by prolific Japanese studio Tri-Ace, the series is also well known for its creative and tactical combat engines, often blending realtime and turn-based elements along with free movement around an open battlefield. The Last Hope is a prequel to the main series, which got its 5th main entry back in 2016. True to the series as a whole, The Last Hope is certainly mechanically solid (as is standard for all of Tri-Aces JRPGs) but it does fall down somewhat in terms of story pacing, writing and delivery. When all three collide, we end up with moments such as the cringe-inducing Nappy Time sequence. Please do not click unless you are prepared for the absolute nadir of the game. While I do appreciate the fact that such a venerable JRPG series is finally coming to PC, I can’t help but think that Tri-Ace didn’t pick the best game to showcase their talents here. Perhaps we can get a port of the excellent (if very weird, both in terms of mechanics and narrative flow) Resonance of Fate next? That’d be nice.